roses(cultivated without chemicals), milk powder, tapioca starch, rose oil, essential oil blend. The power of roses extends beyond their enchanting fragrance, they impart balance and skin nourishing properties to all who employ them. 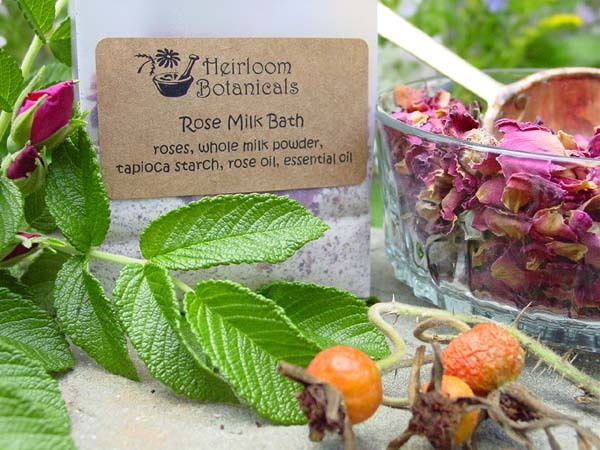 In this formulation, roses are combined with milk, whose enzymes have been known to soften and nourish skin, and pure essential oils, producing a bath that is luxurious and enchanting.